Member of public signing petition on Saturday. 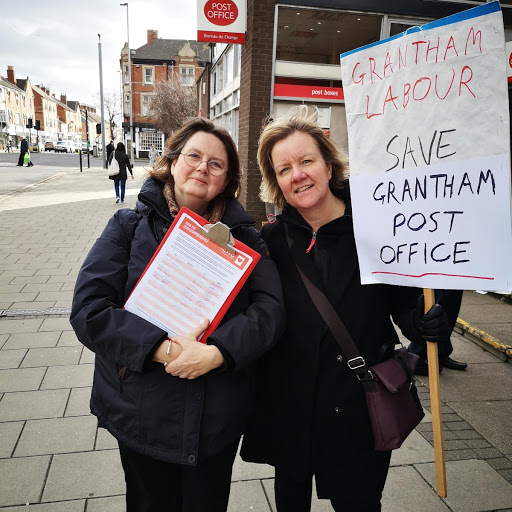 Members of the Grantham Labour Party were collecting petition signatures outside Grantham Post Office, in defence of Grantham Post Office, on Saturday morning.. They were objecting to plans for the Post Office to shut the St Peter’s Hill building and replace it with a presence inside W H Smith, High Street. 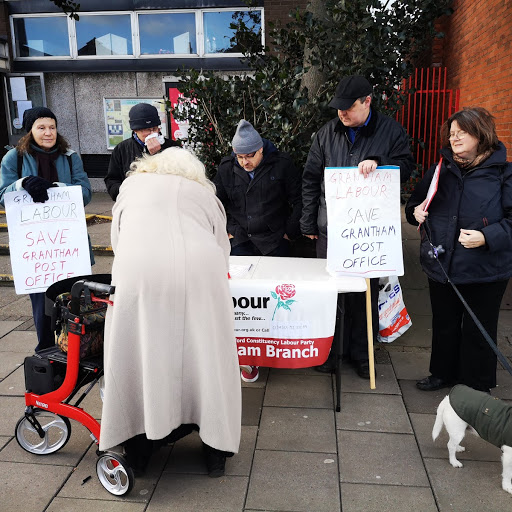 Speaking afterwards, John Morgan, Secretary of Grantham Labour Party stated: “The Post Office want to close Grantham Post Office and put it at the back of WHSmiths. This will mean fewer counters and longer queues, but less space for people queueing to actually stand. They also want to make the current, experienced staff redundant, and take on new people, on Minimum Wage. Labour councillor, and former Post Office employee, Charmaine Morgan added: “We got an excellent response, and most people signed the petition. But its not just Grantham. 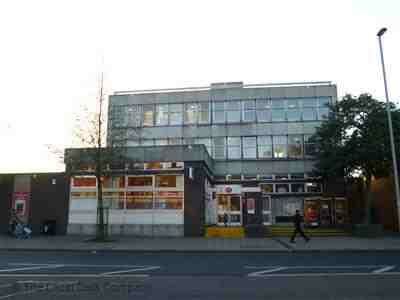 The Post Office are cutting 74 branches up and down the country, in this way. he deadline for the Post Office’s own consultation is 6 March 2019. I thought there were plans to redevelope that corner between St Peters Hill and Wharf Rd?